Recent decades have witnessed a remarkable increase in the mobility of persons across national borders, as well as an increase in the number of couples formed by nationals of different countries, who may live in a country of which neither is national and acquire property in more than one country. Such couples may face uncertainty regarding the legal rules governing the spouses’ rights in the matrimonial property. The matrimonial property regime may also change following a change of domicile. The problems encountered are due to the fact that states apply different substantive legal rules, as well as different conflict rules, to such property relations. 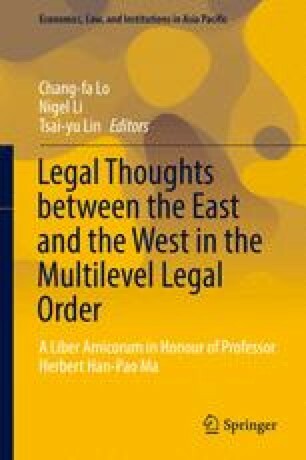 This study, dedicated to Grand Justice Professor Herbert Han-Pao Ma, a great teacher and dear friend, first examines the various matrimonial property regimes provided by law in some European civil law countries, as well as the legal rules governing matrimonial property in England and in Israel (part 2); it then considers, with respect to both the conflict rules designating the law governing matrimonial property and the substantive rules that would be applied in each jurisdiction, respectively, a Swiss-Israeli case (part 3), a Dutch-Israeli case (part 4), and an English-Israeli case (part 5), followed by conclusions (part 6).